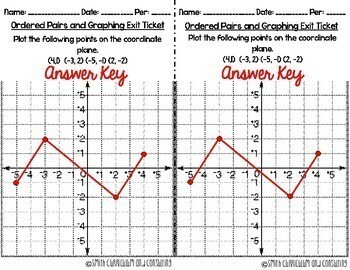 Identifying Ordered Pairs within a Four Quadrant Graph or a One Quadrant Coordinate Plane are one of the most fun skills for students! 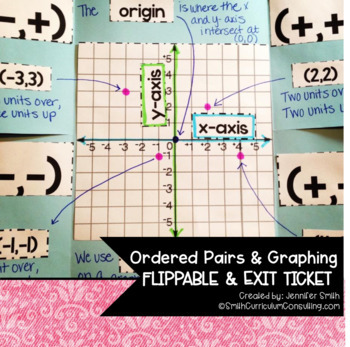 This 4-Flap Flippable is perfect for students to identify the origin, x axis, y axis and coordinate pairs and the mini book allows students to identify the origin, x-axis, y-axis and positive coordinate pairs. 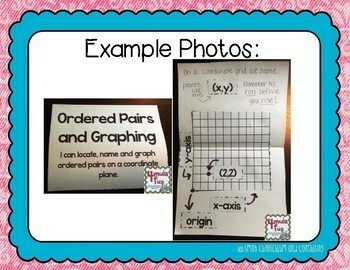 The Ordered Pairs Flippables are a set of unique reference tools that I have been using in my classroom as a part of our Interactive Notebooks since 2011. 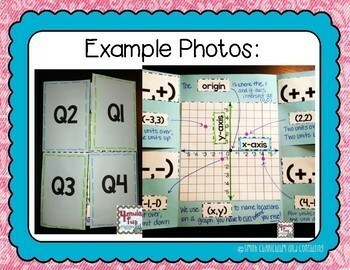 The interactive and kinesthetic component of cutting and gluing in the notes of the flippable make it more of a game-like activity which keeps students engaged in the lesson being presented. Aligned to TEKS 5.8a, 5.8b, 5.8c, and 6.12a as well as Common Core State Standards 5.G.1, and 6.NS.8.